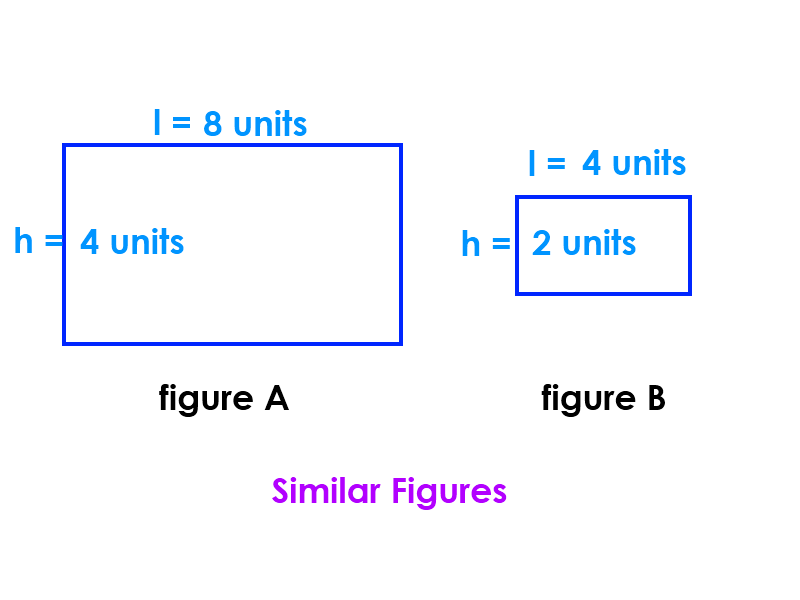 Scale factors and ratios are used to quantify the relationships between the sides of similar figures. 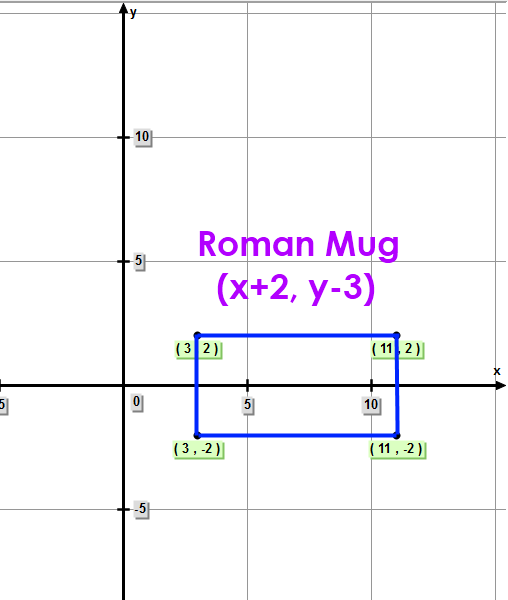 What is the scale factor from design Mug (x, y) to Roman (x+2, y-3)? Your problem statement DOES NOT describe a change in the scale of the mug. Your problem statement DOES describe a translation (of the location) of the Design Mug. It does not change the size of the design mug. 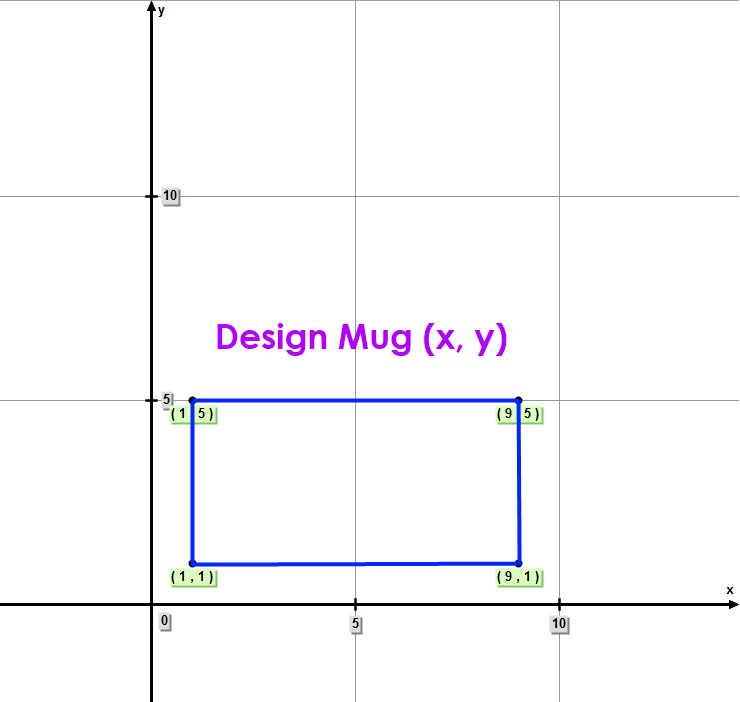 Design Mug (x, y) to Roman Mug (x+2, y-3) is merely a movement of the design mug to a new position. The entire figure is merely shifted to the right by two units, and shifted down by three units. The scale factor between the two figures = 1. There is no change in the size or shape of the mug. Take a look at the following two diagrams. I have used a rectangle to represent the Design Mug, but any shape could be used. As already noted, scale factors are ratios which compare two objects. The scale factor often refers to a linear measurement (such as length and height). However, a scale factor can also refer to something else, such as area or volume. For the purposes of this example, the scale factor refers to linear measurements. Every side of figure B is exactly ½ as long as the corresponding side of figure A.